Jack thinks with his stomach, if there is any mention of food Jack is straight there! 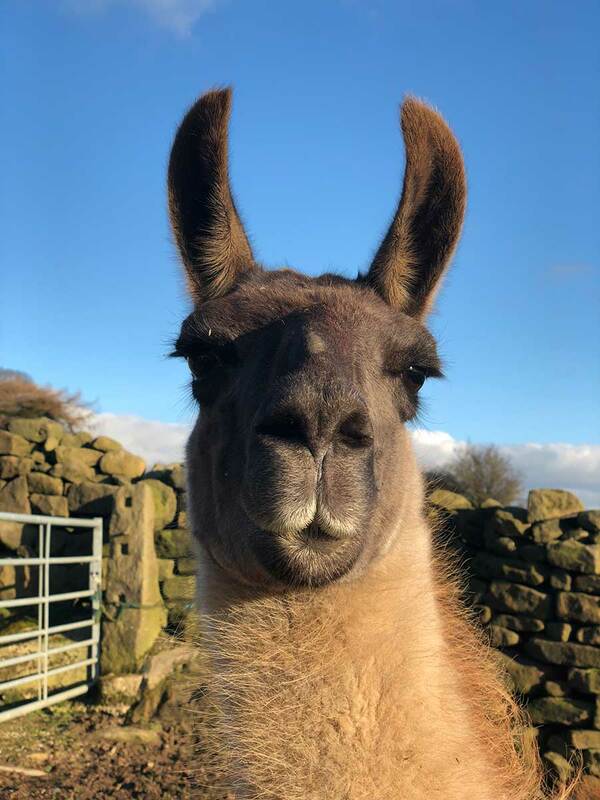 When focused on trekking (with no thoughts of food distracting him) Jack is a really sensible chap, he is the happiest llama and he shows this by having his tail up at all times! He is extremely calm…until he spots some yummy grass, then Jack will try every trick in the book to get his way and eat! If he was a human, he would be a hard worker, but down the pub for a pint as soon as work was done!